Hello Gardeners, I’m Amanda McNulty with Clemson Extension and Making It Grow. When I look at photographs of flower-laden trees sent by friends who visit tropical isles, I often think about camellias. When the old camellias in our St. Matthews yard that are the size of small trees are laden down with red or pink and white blossoms in January, February, and March, I think that we are so accustomed to their beauty, we don’t really appreciate what an incredible show they‘re putting on – they are just as spectacular as those tropical plants. Starting in October with Yuletide, an early-blooming camellia sasanqua, and going almost to May with some of the late flowering camellia japonicas, we can have carefree blossoms on handsome evergreen shrubs over half the year. 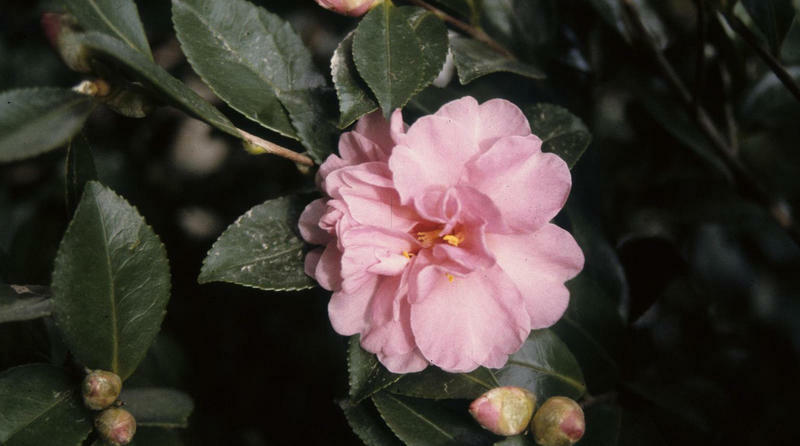 And although camellia scale is often present on some cultivars, the persistence of hundred-year old plants that are never treated is a testament to their toughness.